The Slingshot F Surf Foil – 76 Infinity Wing features Slingshot’s Hover Glide 76cm Infinity front wing and 42cm rear stabilizer. 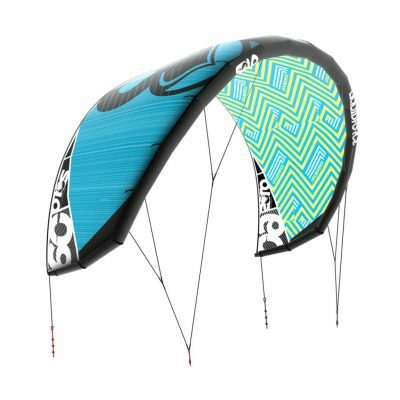 The F Surf is a great all around wing for kiting, surfing and SUPing. The 76cm Infinity Wing is Slingshot’s new surf inspired foil that cones onto foil at 6-8 mph and can handle speeds into the low 20s. 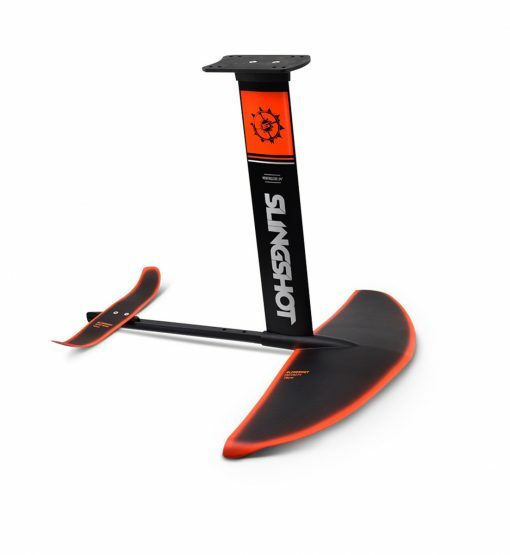 It is incredibly stable and creates a lot of lift at low speeds to make catching waves easier than ever. 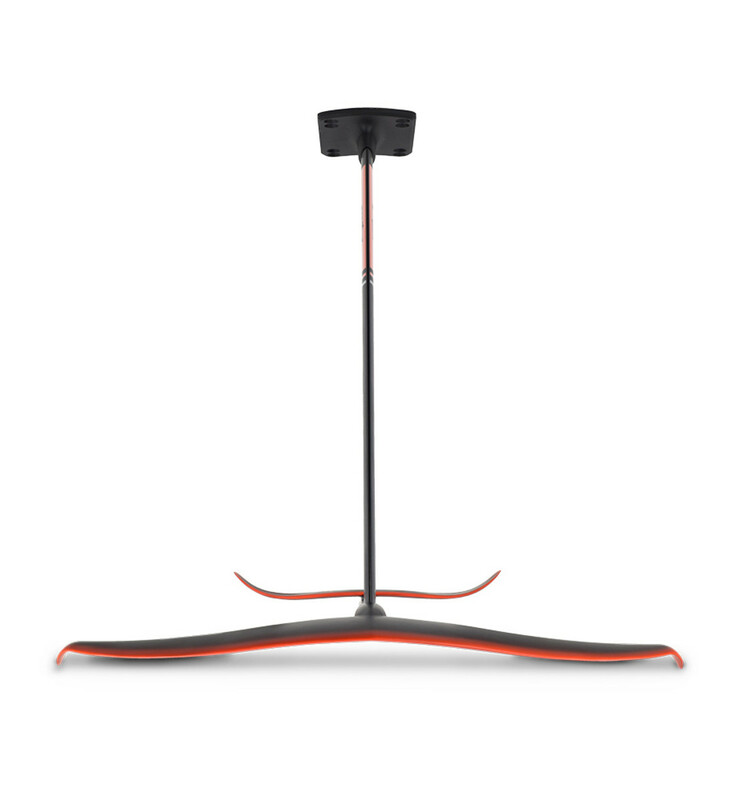 The new infinity shape also handles high speeds remarkably well and is able to reduce lift in its top end. All in all, the FSurf Foil with the 76cm Infinity wing is a great all around foil, great for learning, catching waves, surfing, riding open ocean swell, pumping, and downwinders. 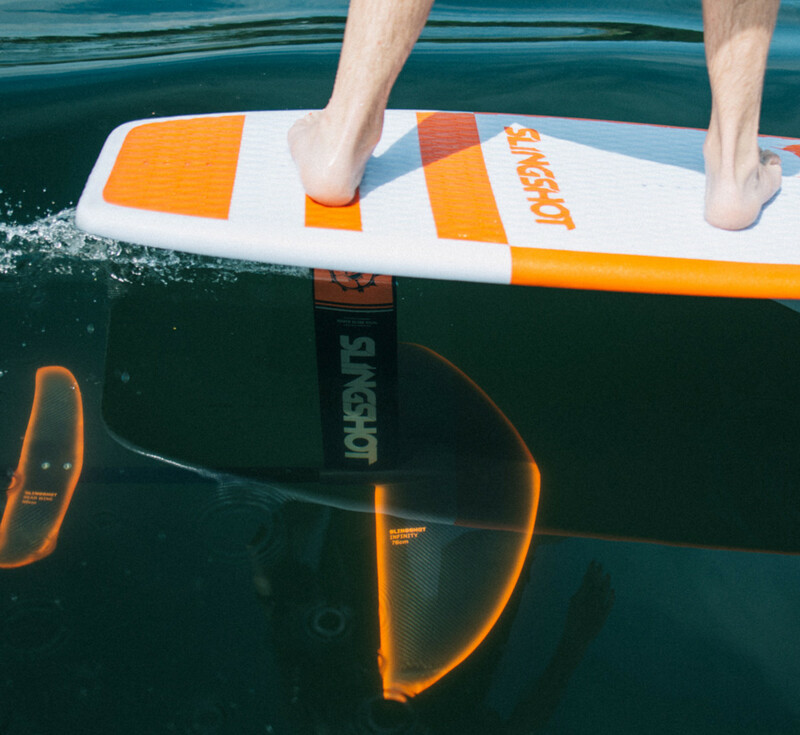 The F Surf Foil is completely modular so you can swap out any part to fit your style. 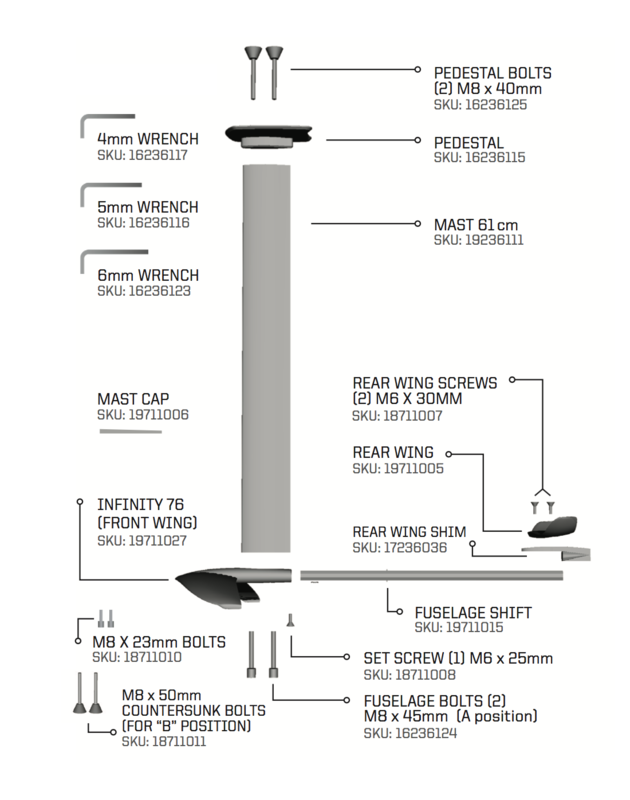 If you want a pump board you might upgrade to the 48cm stabilizer wing and advanced foilers may eventually move up to a 28″ or 35.5″ mast. 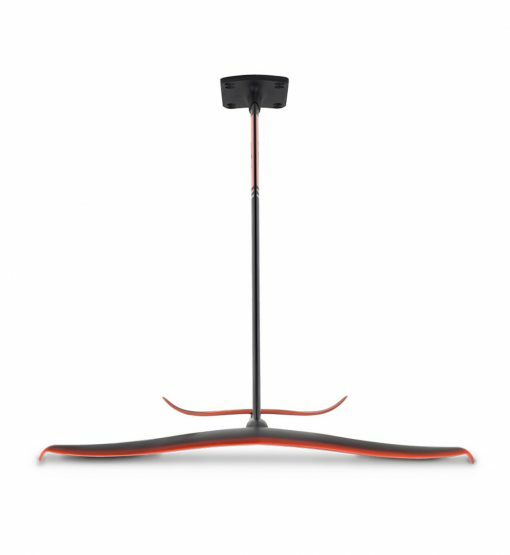 All the Slingshot wings are Slingshot Hover Glide Wings are interchangeable so you can choose the right wing to fit any occasion from pumping to kite foil racing. Easy to catch a wave. Once you are up it rides waves effortlessly without the need for excessive “monkey pumping”. Unless of course you want to pump, then go for it on the way out. IMPORTANT NOTE: There are plenty of foils out there with tons of lift, but they tend to be super slow and can’t keep up with most waves without pumping to generate speed. Faster foils, meanwhile, need more speed to get going and don’t really work for the small, rolling waves foilers love so much. The FSurf package, equipped with our new INFINITY 76 wing, is the best of both worlds. 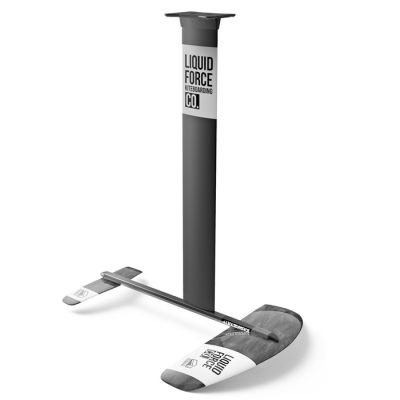 A large outline provides all the low-end lift and pump-ability you’ll ever need, while its unique inverted gull wing shape allows for much faster top-end speeds than foils with similar surface area. For wake foilers, The FSURF is ideal for those with the foil fever who already know how to handle more lift at slower speeds and hope to ride every wave in sight, both large and small. 3rd wave is a breeze, 4th and 5th are calling your name too. Surf ANY boat, and even ride the flats with a little whip and the power of the pump. This foil is also suggested for heavier riders in the 200 + lb range.